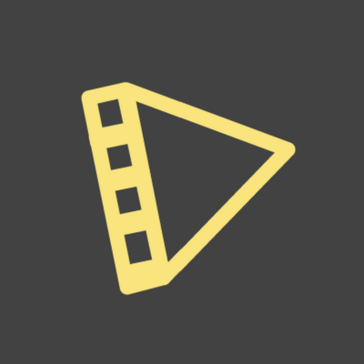 Typito is Canva for videos. Use drag and drop professionally designed text animations, captions and motion graphic templates to make captivating videos in a few minutes. Create image slideshows and videos with your favourite music and publish them in square and mobile formats for social media. "Create Amazing Text Videos with Typito"
Typito simplifies the process of text video creation. It also provides better customizability compared to other text graphic video creation tools. It is super easy to use. Customer support is also very responsive. With Typito, you can become an expert in video creation the first time you use it. It appears that basic. It is slick, inexpensive and really easy to use. I do not have a dislike. There are no downsides. Compared to other motion text video creation tools out there, Typito simplifies the work. You do not need to be an expert to create quality work. I use it to create neat, slick video to increase our customer base and enhance the reach of the services we provide on social media. What Video Editing solution do you use? "Easiest Video Editing Software I have EVER USED - AND BEST RESULTS!" There is nothing I do not like, I only find myself more delighted by all of the great features. You will be happy if you try it - go for it. This was so easy and videos looks beautiful - amazing! I needed to just add animated text to certain portions of my video. Most were so complicated it would have taken me hours. I tried so many others, iMovie, Premier Pro, After Effects, Spark, Apowersoft and then I tried Typito, thank you! "Simple to use and great features, highly recommend this product"
I particularly like the range of text effects for our video, the whole system is very intuitive and great value for money. With the range of fonts and effects the site has to offer the videos can vary wildly, text over the video makes videos explain what their advertising much better than images alone, with the text we have been able to make our videos look and feel more professional than ever before. "Best Video Content Creation Platform"
"My favorite overlay animator program"
Of the 9 animation software systems that I use, Typito is the easiest and fasted for text and image-based animations. It's also so much fun to use due to it's fast and intuitive interface. The other thing I really like is the company's responsiveness to my questions and requests - very different than I'm used with other companies, except perhaps Renderforest (but they don't have the font control that Typito has. I also like their excellent collection of pre-rendered text animations. They also render at a higher bit-rate than some of the other animation programs. That I only get 20 HD renders per month (for the same price Renderforest gives me 50). So I end up using Vegas Pro instead for some of my text animations. Try it out and see how fast and fun it is, without sacrificing power or flexibility. Speed of text and image animation creation. I get more doen faster, and it's more fun than in many programs that are less well thought-out.. The editing aspects are fairly easy to jump in and use without having to watch any tutorials (although they do have them if you need it). The customer service has been very hands on when I encountered a very troublesome and frustrating issue when editing a video. They even offered a beta feature to be tested on my account which resolved the issue in its entirety. The initial free account does allow you to download a video without their logo on it I believe two times. I have since purchased the product after testing it with the original free download to ensure the quality of the video remained intact (it did). The program is still in the initial phases, so I have encountered a couple of glitches. If a graphic isn't appearing when you keep rewinding the video, I've found if you just refresh the page and it should be resolved. I would like to be able to fine tune the seconds/time aspect of the video so to not have to estimate the timing of added effects. It is totally manageable as it is and I'm being nit picky but it would be a nice update. Message the customer support team if you have questions or help with anything! It's like the canva version of online video editing software. I definitely recommend the product. I needed to crop a section of a video out. I needed to add moving text across the length of the entire video constantly playing. I also added pop up graphics and text during the video as well. I added a still image to the ending of the video. Typito is very easy to use, intuitive, has a nice interface, is feature rich and is an affordable solution for DIY marketers. Good video tutorials make it easy to learn any complex issues that may arise. Helpful support staff with prompt response times. Overall, very happy with my purchase. Would be nice if the login screen was more easily accessible from the home page.Maybe a video walk through of the interface might be a good idea and how it all works. The part about being able to create & edit a video, and how it does not count against your credits was not made clear to me (which is a good thing). Go for it. I asked around. They are pretty much the standard "go to" for this sort of thing. FB Ads. A professional 30 second video will run $200. So, Typito saves a ton of money. Granted, it may not look the same depending on one's skill set, but it most certainly could with enough time and practice. Benefits -- saved money and gained a new skill set. In my first video created, it was a success. I was able to generate leads for my client at a $1.50 CPL (excellent for my industry). "Easiest Site to Add Fonts, Graphics, Overlays to Videos"
So simple to use. Easy drag and drop! It is by far the easiest program that I have used for making my videos look professional. So far, I am pleased with the product. I guess it could be easier to raise and lower the music bed in different sections when I don't want it laid under the entire video, but that is a small issue...as I don't really even use music all that much. "Excellent tool for creating social media content"
The interface is very intuitive and simple but it offers you a lot of options. You can upload media from your device or from the internet. The customer support is amazing , they help you with any doubt you have. We used it for social media content and for advertising. "Easy-to-use tools for creating and editing videos"
I was looking for a program that was not very complicated and that would allow me to make explanatory videos for educators and promoters, Typito helps me in this process. I choose the type of screen, upload videos or images, add music, place text and I can include the icons of social networks and, if at the time of exporting I am very slow, I do something else and I hope that I get the notification to the mail. They have been quite successful with respect to functions and tools, it does not require download and is accessible to anyone. Typito is a great help to create and edit videos, it is online and has basic editing tools that are easy to understand and use. Perfect to create explanatory videos for promoters and educators who should know the functions and characteristics of the books in my area. We see it together in a meeting and I send it as a backup of it. This has helped us create a lot of stunning motion graphics with nice dialogues. There are lots of motion graphic templates which you can select from. It so flexible to edit video such that you can add your music of choice to your video. You can easily create landscape and potrait videos. Its a great way for creating stunning videos. All functions needed for editing a stunning video are present, what else am I looking for? I have no issues with this video editing tool. The only way to create stunning video contens. We create stunning motion graphics for our social channels. "Made for marketers and social media story tellers "
- Lot of options for stylized captions. I love the ease with which I can add text to videos, and the intuitive interface. And I really appreciate their customer care! I would really like to be able to add transitions between the different video parts. "Create a Better Video with Typito"
This is the best software for creating motion graphics and make video more interesting by allowing you to add texts, layout and favourite music to a video. It works perfectly, I do not dislike anything about this great tool. This software allow you create better video. With Typito, We are able to create engaging videos for our products. "Well-made product but does not work on mobile"
This has always been a favorite video/design software of mine. There have also been a couple recent updates that have made the platforms easier on the welleyes and easier to navigate. This is one of the nicest softwares for editing and creating stunning videos, it is easy to use with lots of feautures such as the one which allow you add dialogues, sounds and effects to your videos hence making your video an engaging one. Their is nothing to dislike about this tool, it is the best for video editing. Best video editor, try it out then thank me later. We easily edit videos for public viewing. "Experience Excellence with Typito "
Typito incorporates almost everything; from text editing and proofreading to video clips creation and design. It is an awesome platform which helps you grow your business. It offers great and responsive customer support. "Excellent young team with user friendlier Typito software"
I have created a video and edited with easier and user-friendlier. The output of the video is so amazing. I got good support from Typito team. I had a problem with audio. I got excellent and instant support from them. Typito helps with all proofreading and editing assignments we work on as a team. It is easy to use with great quality support. Its free trial also makes it easy to be tested by the audience before payment is made. I'm enjoying it, it works perfectly, so nothing to dislike. Great for creating text videos. We use it for creating text videos. We have created many video and all those videos came out very well. Without learning professional software we could create very good videos. * We monitor all Typito reviews to prevent fraudulent reviews and keep review quality high. We do not post reviews by company employees or direct competitors. Validated reviews require the user to submit a screenshot of the product containing their user ID, in order to verify a user is an actual user of the product. Hi there! Are you looking to implement a solution like Typito?